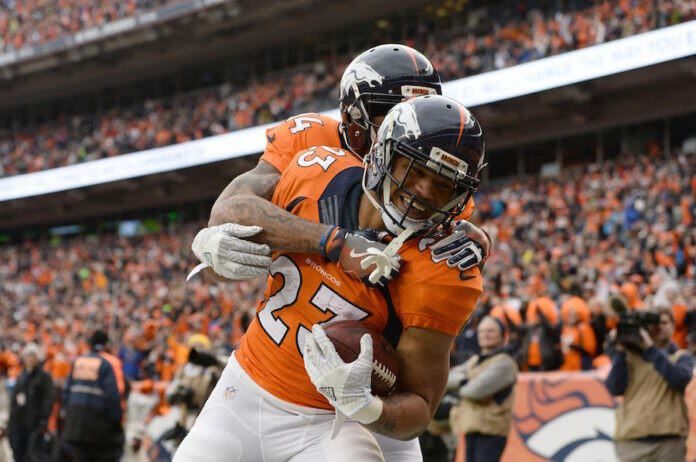 Among the many position battles confronting the Denver Broncos this offseason, none may be more interesting than the running backs. Gone are the days of C.J. Anderson sitting atop the depth chart, as a number of young backs now have the opportunity to jostle for the starting position. As the team transitions away from OTAs and prepares for mandatory minicamp next week, that competition continues to grow. 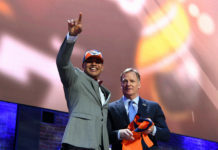 The veteran of the group – third-year player Devontae Booker – is just 26 years old and has displayed middling results in his brief NFL tenure. Behind Booker is second-year back De’Angelo Henderson and rookies Royce Freeman, Phillip Lindsay and David Williams. With the lack of a clear-cut starter, and the abundance of hungry, young talents, the competition in the backfield is sure to hold the intrigue of fans throughout preseason. Though all the players are competing against one another, they realize the benefits that competition brings. Though those two figure to begin camp with the highest likelihood of securing the starting gig, undrafted free agent Phillip Lindsay is no stranger to overcoming doubters. The 5-foot-8 back from Colorado used OTAs to begin adjusting to the speed of the NFL and offensive coordinator Bill Musgrave’s playbook. He acknowledged there’s still plenty of room for improvement, but was still pleased with the work he put in. While the other two are all but guaranteed a spot on the 53-man roster, Lindsay knows he has to compete for a spot on the team, even if that’s not in the backfield. Last year marked the first time since 2013 that the Broncos had a 1,000-yard rusher as C.J. Anderson became a leader that the backfield lacked in prior seasons. Now a Carolina Panther, Anderson’s production and headship are there for the taking. 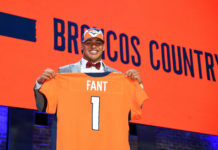 Should the Broncos wish to employ a similar strategy as last season in establishing a clear first option in the backfield, the work this offseason and preseason figures to go a long way in the decision. And whatever that decision is, the young contingent of backs will all have the opportunity to grow during the process.